Features like fixed returns and taxability also makes it a lucrative investment option. 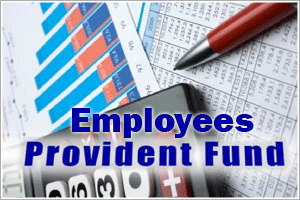 The Employee Provident Fund is one of the best retirement plans that every employee should opt for. It helps individual to build up a big corpus to be used post retirement. Features like fixed returns and taxability also makes it a lucrative investment option. Employees can get tax benefits in Provident Fund investment. The fund is built up by the regular monthly investment, which is 12% of the basic salary of the individual. The employer too has to contribute the same amount towards Employees' Provident Fund as its share. EPF can be a very important investment plan which can solve half your problems after retirement. The power of compounding can reap outstanding benefits in case of EPF. Therefore, one should hold on to this disciplined investment plan until retirement. Employees have the option to roll over their PF account in case they change their job. If the previous PF account is kept idle, then the interest rate is accrued only for three years. Therefore, one should ensure that the previous PF accounts are rolled over and clubbed with the new PF accounts.